Digital Signage Expo’s four-part Digital Signage Program at DSE 2016 will include an hour-long session titled, “Doing Digital Signage Right the First Time as an Integrator.” The expo is designed specifically for AV Professionals and Systems Integrators, and anyone considering creating a digital communications network. Mike White, Strategic Account Manager for Unified AV, and Robert White, Design Engineer for Unified AV, will co-present a session that will establish guidelines for avoiding failure on Wednesday, March 16 from 9 to 10 a.m. Attendees will learn how to set realistic client expectations and create realistic budgets by asking the right questions upfront. The seminar will provide the tools an integrator needs to assess the viability of projects, their profitability and execute successfully. 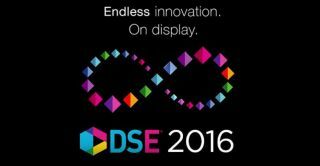 Registration for “Doing Digital Signage Right the First Time as an Integrator,” or any of the DSE 2016 educational conference seminars is available online at www.dse2016.com.